architecturally, as the authors show, Mount Vernon blends the orthodox and the innovative in surprising ways, just as the new American nation would. Equally interesting is the light the book sheds on the process of building at Mount Vernon, and on the people--slave and free--who did the work. Washington was a demanding master, and in their determination to preserve their own independence his workers often clashed with him. Yet, as the Dalzells argue, that experience played a vital role in shaping his hopes for the future of American society--hope that embraced in full measure the promise of the revolution in which he had led his fellow citizens. 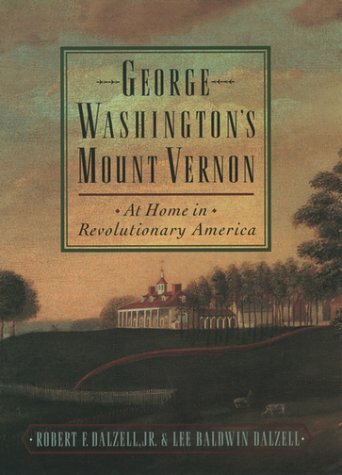 George Washington's Mount Vernon thus compellingly combines the two sides of Washington's life--the public and the private--and uses the combination to enrich our understanding of both. Gracefully written, with more than 80 photographs, maps, and engravings, the book tells a fascinating story with memorable insight. Dalzell is head of the reference department of the Williams College Library.